When the time comes to remodel the kitchen of your home in St. Petersburg, Florida, remember the name KitchenAlity. We are proud to provide top-notch remodeling services to homeowners throughout the area, and seek to transform kitchens of all shapes and sizes into gorgeous, comfortable, and spacious works of art. 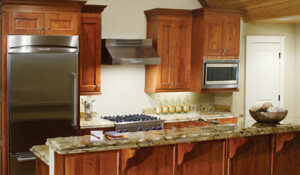 With KitchenAlity, you’ll benefit from a team that will truly listen to your wants and needs for a kitchen remodel. We’ll use the information you provide for us to develop a unique kitchen design plan that is fully functional, modern, and reflective of your personal sense of style and personality. To find out more about the professional kitchen remodel services from KitchenAlity for homeowners in St. Petersburg, FL, please contact us today. When you do, we will schedule an in-home consultation with a professional member of our team to begin the conversation about your new kitchen.